Guven Cave Hostel is one of the traditional Cappadician style hostel. 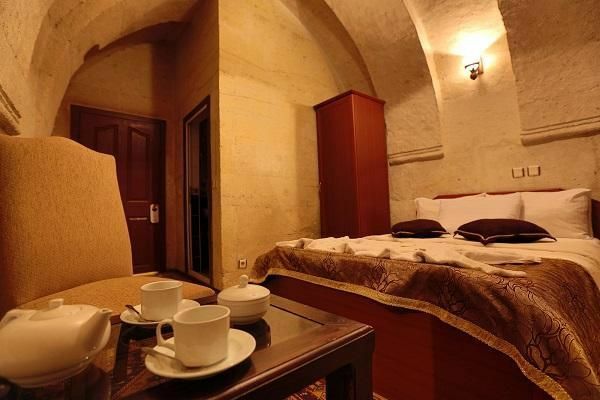 The hotel has been hand-crafted with the natural stone of Cappadocia. 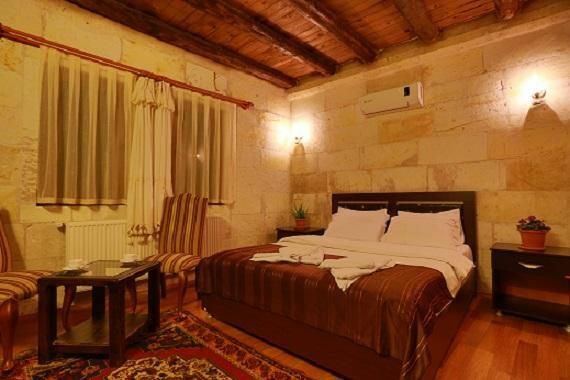 Guven Cave Hostel has 9 elegant rooms which includes 3 cave rooms, 3 arch rooms, and 3 modern rooms, as well as a restaurant on top of the hotel on the terrace . All the rooms are beautifully decorated, clean and a cozy place to stay. The restaurant serves Turkish style breakfast, lunch and dinner.Visit our restaurant and experience the local Turkish style foods. Our hotel's central heating system allows you to use hot water for 24 hours a day, even in the freezing cold winter! 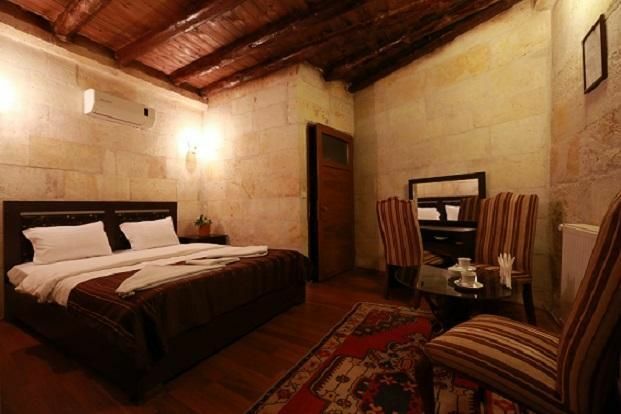 Guven Cave Hotel is located in the central part of Cappadocia around great restaurants and shopping. We offer an excellent blend of Turkish warmth and hospitality.Guven Cave Hotel is currently listed by Lonely Planet (Recommended) Japanese Guide bookFree Wi-FiFree Internet AccessFree City Map and travel informationLuggage RoomParking24 hours running hot waterFlexible check-outComfortable bedsWake up servicewater storeTravel LibraryNo curfew, No lockoutSpecial Offer: If you choose to book your Hot Air BAlloon excursion through us you will receive a 15% Discount on Balloon price. *please ask hot air balloon price and other tour prices from hotel sales after you make your reservation.We do help your tours bookings in Cappadocia. The hotel lays just 350 metres from the bus station and central of Goreme.We pick our guests up from the bus station in Goreme. Please give us a call from the information office in Goreme bus station. Even though the officers know our number.